Did you order a B-52 Bomber with that beer? Coming right up! 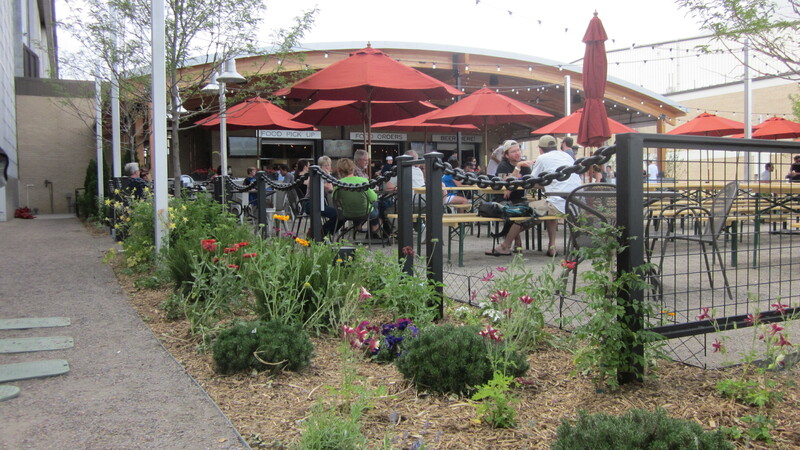 Celebrating Colorado’s craft beer culture, the Lowry Beer Garden is nestled in its very own park with more than 4,500 square feet of outdoor garden area, vast open-air seating, and an inviting covered pavilion. Driving through Colorado Springs on my way to Denver, I am struck by the beauty of this area. There are constant mountain ranges, forests and wildlife abound. I notice that I am sitting at 5500 feet above sea level. Quite a difference from the 15 below in New Orleans. 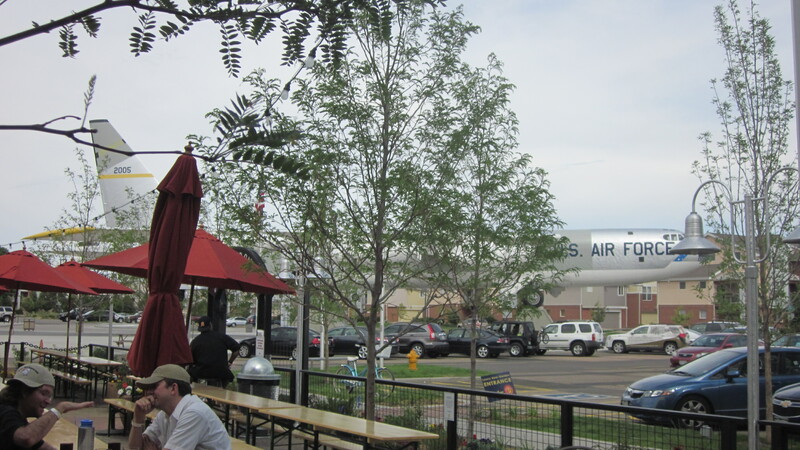 There are two beer gardens that I want to see while I am in the Mile High city. I check my GPS for the closest one, and get oriented. It is called Lowry Beer Garden and it’s been getting a bit of press. 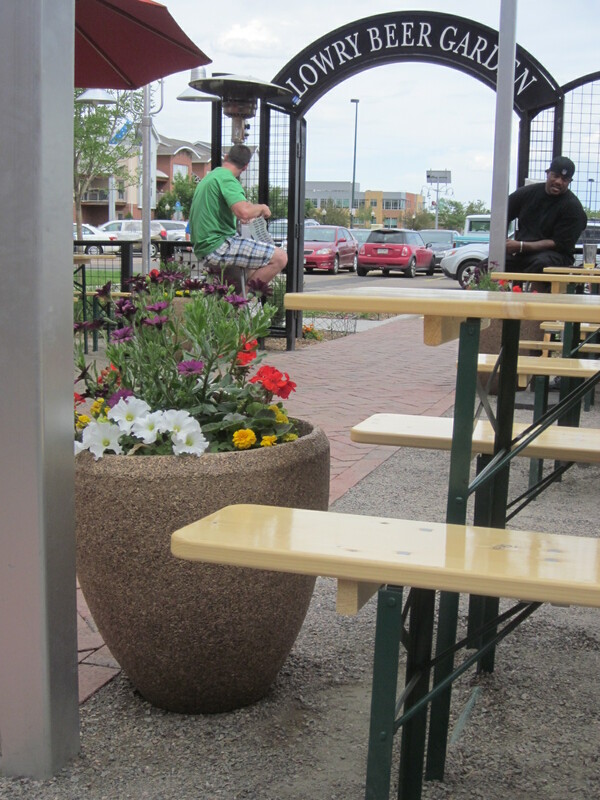 I read a few articles about “Denver’s New Beer Garden!” but I don’t look at the date. I begin driving through, what looks like a business park suburb. As I always do, I begin to doubt Eliza Moneypenny’s directional sense. And then I see it: an enormous B52 bomber. I know I am in the right place since it was odd to see that on the google map. Helluva landmark. 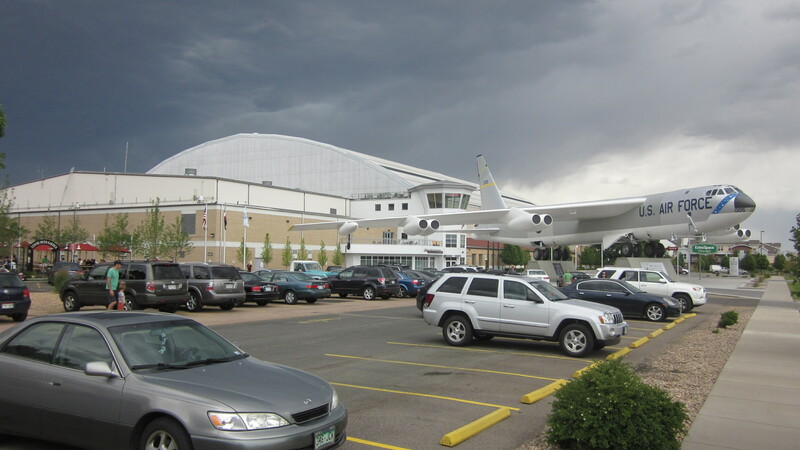 I park in the gargantuan shared parking lot, between townhome neighborhoods, offices and the Wings Over the Rockies Air and Space Museum. I get my gear together and walk toward the only entrance to two large bouncers. It seems rather odd since there are a bunch of kids frolicking about inside. They are nice and engage in a little small talk as they apply a wristband that let’s me drink. I walk straight into the garden. 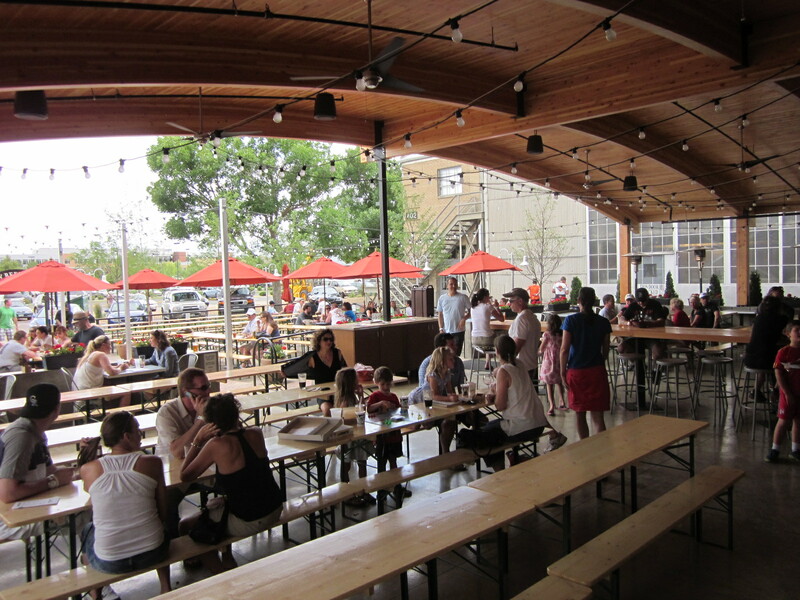 There are dozens of traditional german beer picnic tables under matching umbrellas. I walk down the brick path through the center of the garden and drop off my bag at a free table. I walk past college kids, old couples, and more than a few families with kids. 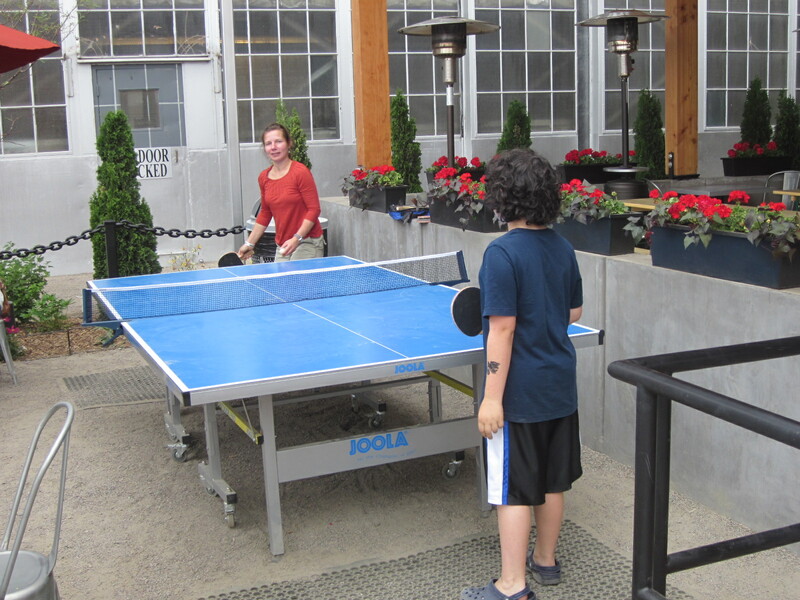 There are 2 ping pong tables set up between the garden area and the covered area. They are occupied by different parent/offspring combos nearly the whole time that I am there. 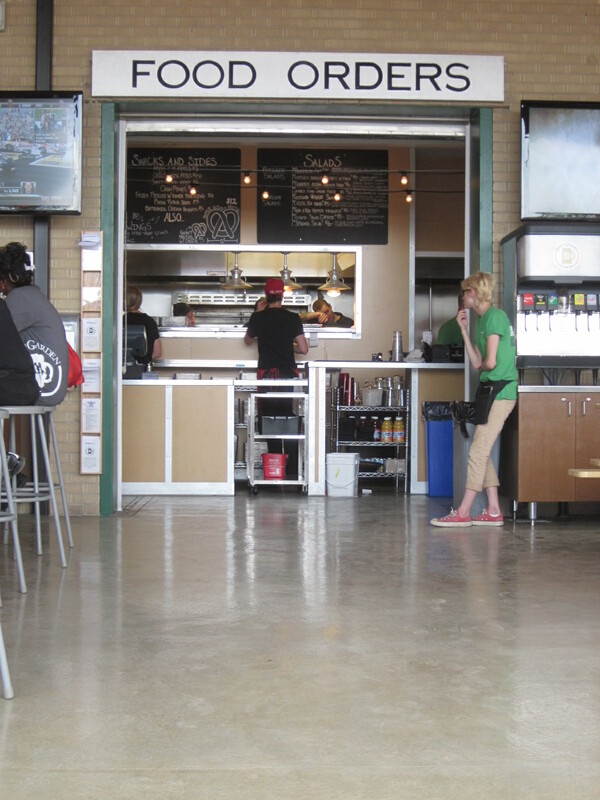 To get a beer, or food, you have to go order for yourself at the stand, under the gigantic wooden roof. 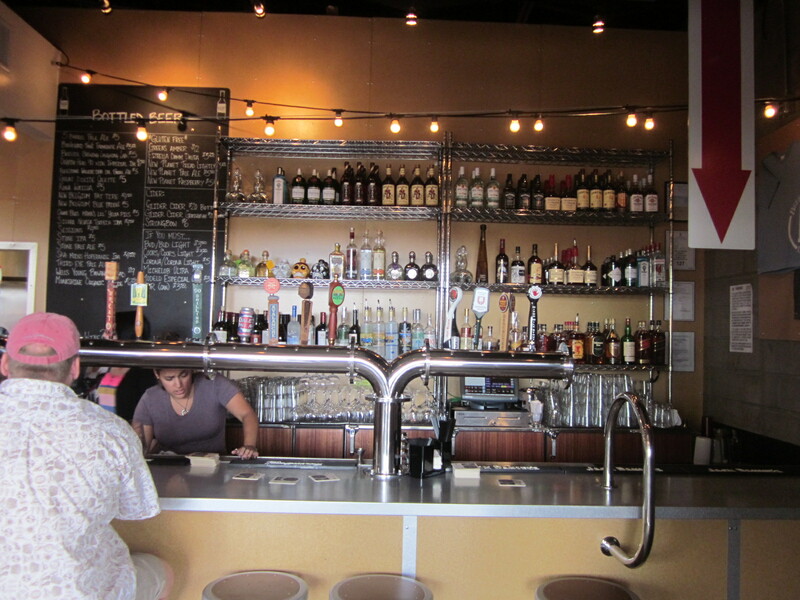 They are stock full of craft brews and there are bunch of local or Colorado beers on tap. Also, there is a huge back wall filled with hard alcohol. I order my beer (Dale’s Pale Ale, I remembered!) but I’m not asked whether I want to open a tab. I wonder if they have a policy against it. That’s the thing about this place: it made me ponder on every aspect of every decision they must have made. As I go back to my table, the manager, Jessica, is already coming out to introduce herself. Lowry Beer Garden, I find out, has been open for a little over a week! It still has new car smell! 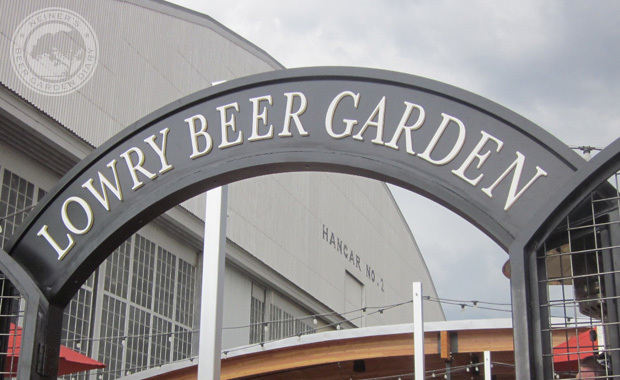 Jessica tells me about the beer gardens philosophies on selling local brews. 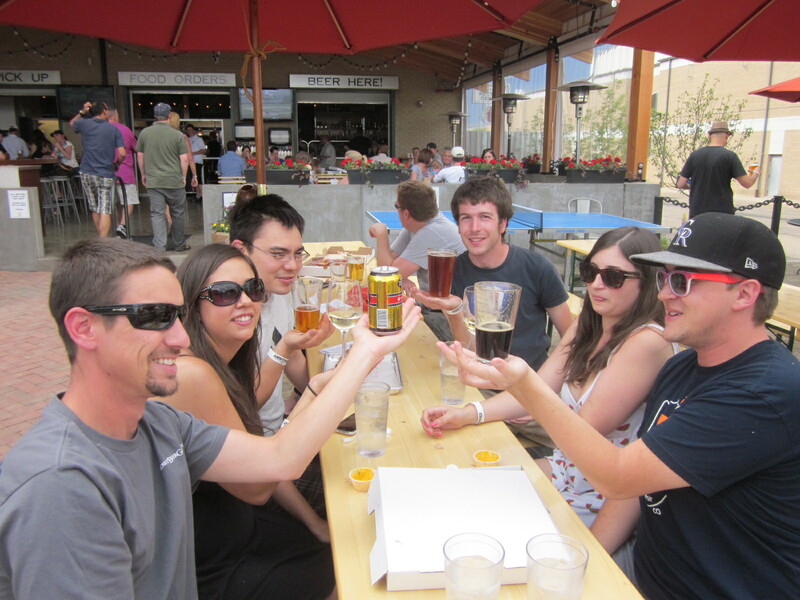 This is all the more important in a place like Denver, where the craft brew scene is exploding. 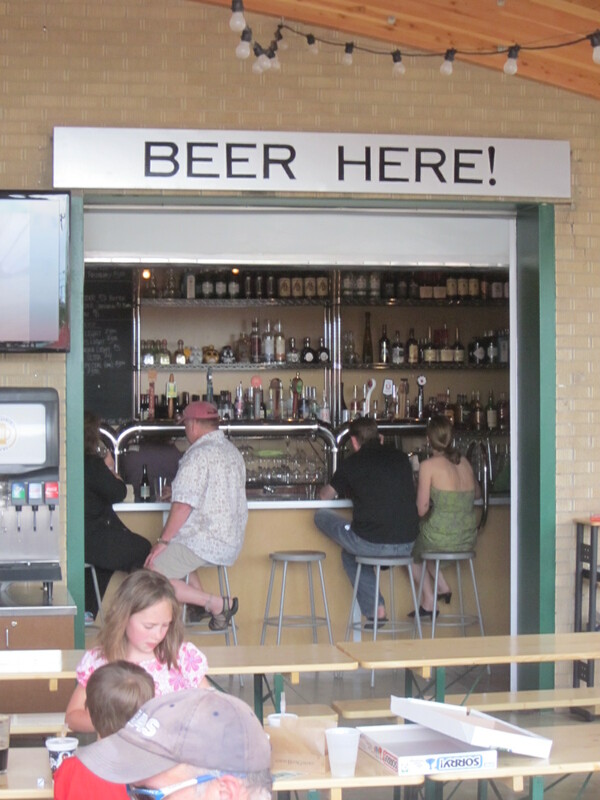 You can’t fake beer knowledge here, all of the patrons have too much experience. They bring their thoughts on local-ness to their food as well. All of the food is harvested or grown locally and handmade. “We grind our own bison” she says non-euphemistically. Everything has a specific plan and reason. The gravel is “Crushed Fine” to allow for wheelchair access. 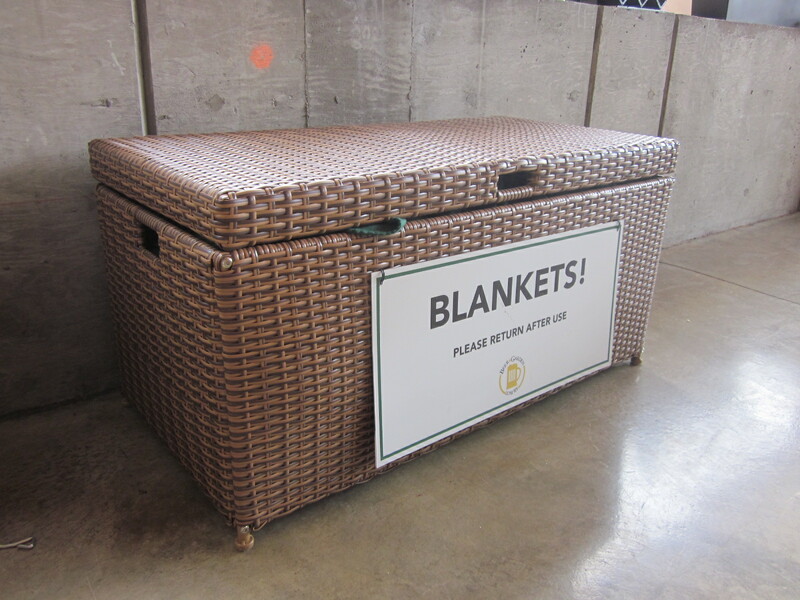 The floor under the covered area can be heated during the colder days. The duel bouncers sit jovially at the entrance in case there is a problem that can’t be solved with gentle talk. All bases covered. The garden seems to be humming along. Just a week old and the place is comfortably filling up on a Sunday afternoon. 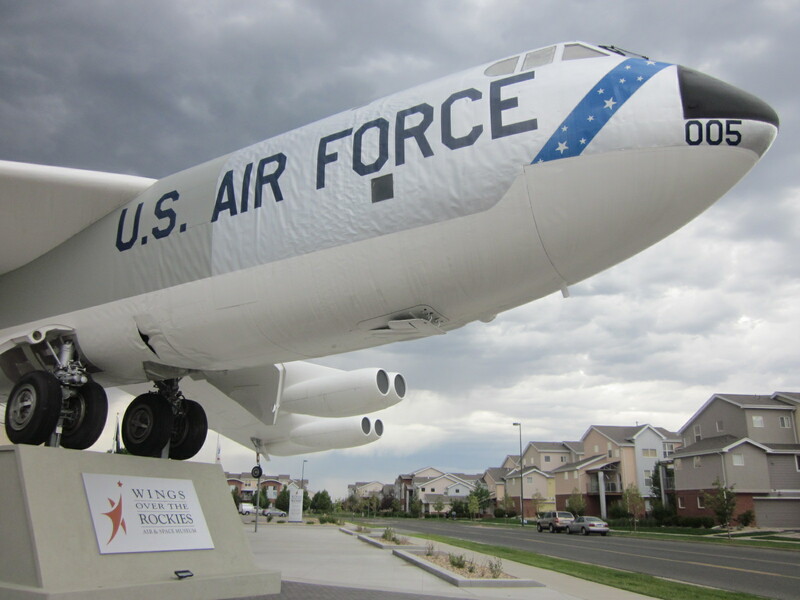 I overhear a man say to his buddy as they are leaving “This is a cool little place to have in your neighborhood, right?” And I think, “Yeah, it is” as I glance over to B52 Bomber that is impossible to ignore for more than 3 minutes. Lowry’s interests me a lot because I can not see anything wrong. 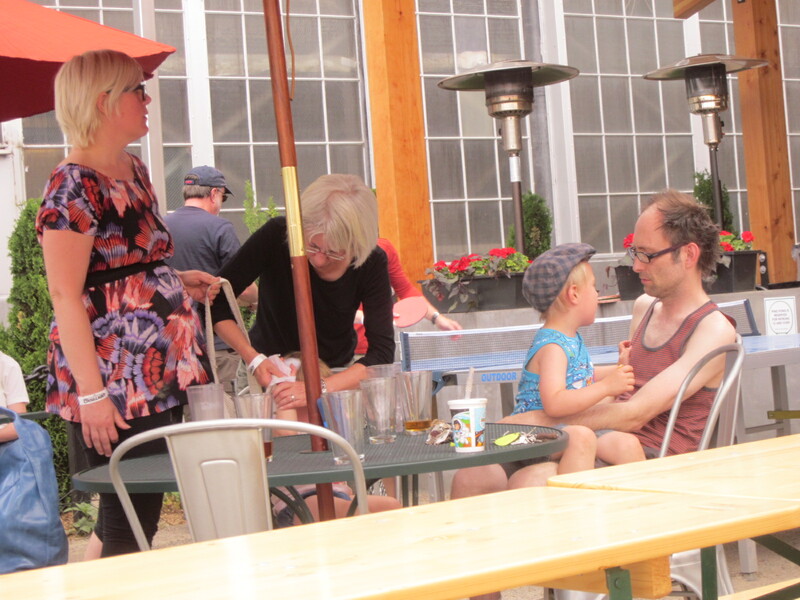 Quiet outside garden, helpful friendly staff, great brews and food, families welcome, ping pong… the list goes on. For some reason though, I am not totally comfortable. Then, I realize what it is. I am intimidated by this place. It is so fantastic in its’ execution. I bet that what I am experiencing here, is exactly what I should be experiencing according to the business plan. Jessica indulges a few more questions from me, and I am impressed with her knowledge of the area, the service industry and her commitment to Lowry. She has to jump back to work though, as all week old businesses need a lot of attention. 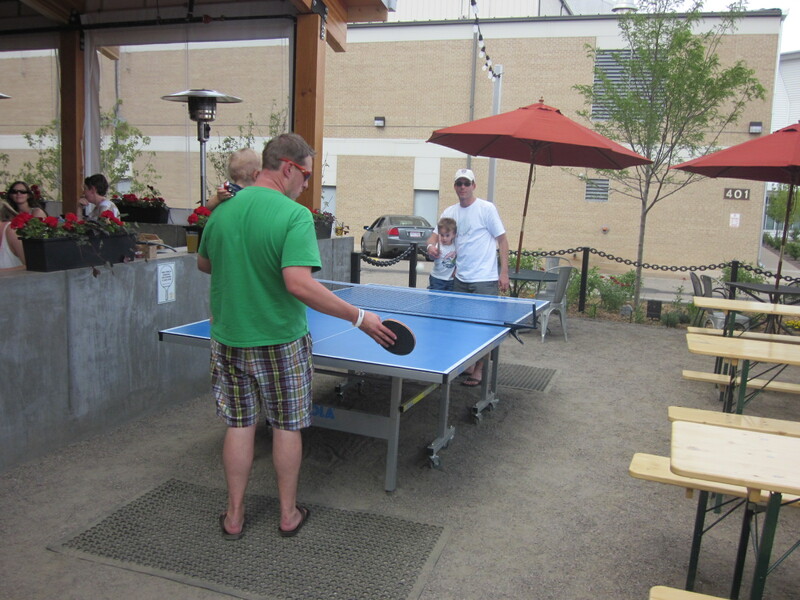 I finish my brew and watch a father and son play some ping pong in the shadow of a B52, and that’s fine in my book. yours is the greatest I’ve came upon so far. But, what about the conclusion?